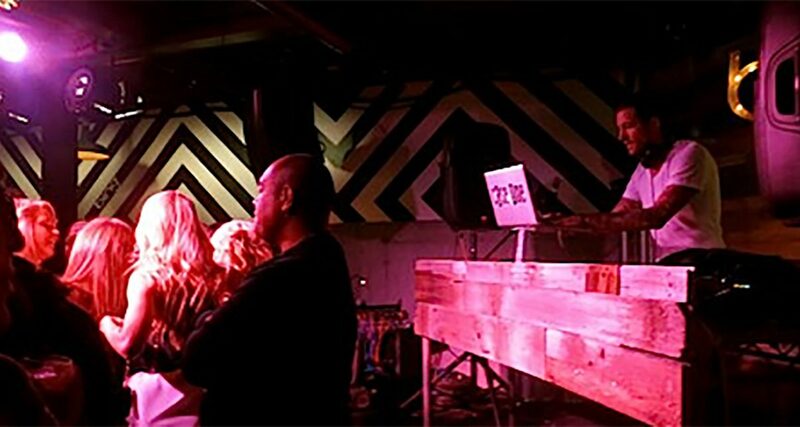 Spend less time with your head in your tune lists and more time mixing and interacting with your crowd by using this ‘night stages’ method of music organisation. As DJs switched from using physical vinyl/CDs to digital files, they had to find new ways to organise their music so as not to get lost in new, often wider collections. It’s a problem all new digital DJs struggle with at one point or another to this day. The trouble is, there are no best-practice guidelines out there for how you should organise your music library. Today I’d like to explore the importance of having some kind of system, look at some of the alternatives, and show you a method that works for me. 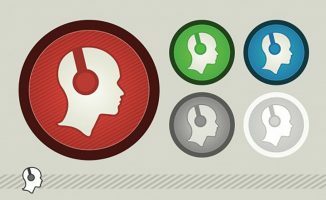 How many playlists should I have? How do I determine in which list a track should go? Can a track go into multiple playlists? How often should I update existing lists? There are nearly as many answers to these questions as there are DJs on the planet! Some create playlists for every music genre, others make lists for different BPM ranges. And then there are those DJs who simply play out of their complete music library without any kind of sorting at all. 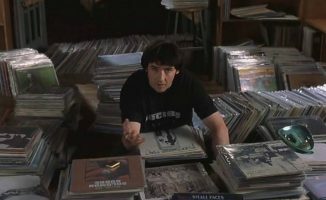 If you only play a few genres, organising this way might make sense – but if your style is more varied it can be hard to keep up and difficult to play from such lists. When you group your music by different genres (eg hip-hop, pop, dance) you have the advantage that you can usually find a track that will mix well with your current tune (tempo and key) pretty fast, because your playlists don’t get too big. This kind of organisation helps you to avoid jumping back and forth between too many styles, which can be confusing for your audience. On the other hand, your mix can sound stale after a while if you play on autopilot out of genre lists, because it’s so straightforward and you’re discouraged from impromptu surprises (like mixing an 80s track with a new hip-hop joint). Of course you can still do this, but in the example above, first you’d have to switch to your 80s playlist, then search for the right BPM and then find a track with the same key (assuming you use key mixing). That can take a lot of time which you often won’t have. Another thing is that it’s complicated and time-consuming to keep your playlists up to date. You have to categorise every track into a musical genre, which isn’t always that easy and sometimes leads to having to add a track to two or three different playlists. So while this method might be good for strictly single-genre DJs or for beginner DJs who just want to produce a coherent mix as easily as possible, it clearly has its limitations. Organising your tunes by BPM gives you a wide variety to mix from, but can lead to disjointed mixes as you’re tempted to shoe-horn inappropriate genres together. I know a couple of DJs who can pull off great mixes with this method. But usually these guys know their library and their music very well, so they don’t have to try, say, six different tracks before finding the right one to mix in next. For many other DJs, it’s easy to get overwhelmed by the huge number of options this method presents as to which track to play next. Combined with the (above mentioned) problem of mixing too many styles together, this can lead to DJ mixes that have a lot of ups and downs in it, more than the DJ might wish. So while this option can be great for DJs who play a lot with the same collection, or for people who have been doing this for a few years, it often won’t be a good choice for beginner or part-time DJs. 3. Don’t group at all! If you don’t organise your MP3s, your music collection will be the digital equivalent of the above, and it will be close to impossible to DJ effectively from it. This is by far the hardest way to do digital DJing. You have (let’s guess) maybe a couple of thousand tracks right in front of you with no classification at all. I truly don’t know any real advantage of “sorting” your library like this. The only case when I see people play straight from a music folder is when they play with somebody else’s laptop. When you don’t know how another DJ has organised their music at all, it’s probably best you just type in some songs you know that will work, or browse through the lot, making a temporary playlist of stuff you’re interested in using in your set. If you do play straight from your (or someone else’s) music folder, you can sort so the tracks that were added just recently are at the top, so at least you’re putting just new hits or tunes you’re not bored of in a prominent position in your library. Recently I came up with another way of grouping my music, which is kind of a mixture of the methods mentioned above but with some definite advantages of its own. I call it the “night stages” method. This is a little like sorting out your tunes in a record box, in rough “front-to-back” order, which is a method many DJs used to prefer in the vinyl days. In my digital take on it, you simply play from the list that suits the stage the night is currently at. I believe it has the right mix of preparation and variety, it forces you to think beforehand about where you tunes are likely to work in a set (which is a good thing), and it is easy to do every week, which means you’re less likely to slip into playing from your music library, with no sorting at all. I started out as a hip-hop DJ and used to grouped my music by genre or sub-genre. This worked just fine till I began working in clubs that demanded different kinds of music, because then, the number of genre playlists I had grew quickly to more than 30! In doing so I saw that the tunes I was playing were allotted across all kinds of music genres. In my case, though, I realised that most of the tracks were slower and older at the beginning of the night, in the middle they were mainly new and fast-paced, whereas at the end I played mostly classics and slow tracks again. This way I came up with the idea to just separate my music by these three categories, which for me is working a lot better than having my previous huge number of playlists. • DJ Tobander is a Serato Scratch Live DJ who started as a teenager, and nowadays spins in hip-hop, dance and alternative clubs. You can find him on SoundCloud, Twitter and his own website. How do you organise your music? 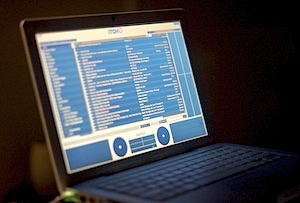 Do you have a tip or trick to share that helps you to stay organised when DJing? Or do you just play straight out of your music folder? Please share in the comments. Or you just know your songs so well that you instinctively are able to cue up the next track even before the playing track has hit the 1 min 30 mark. If you are in the booth fumbling around for your next track that shows a distinct lack of preparation and knowledge in your tunes and the venue in which you are playing. There’s no harm in organising before a gig, it doesn’t show lack of knowledge of your tunes – or at least, it needn’t. It shows preparation for a particular crowd, situation (warming up for a certain DJ , for instance) – any of a whole host of variables. I always encourage people to do this, and I don’t think it reflects badly on the DJ at all. I agree with you Phile, it is not always easy to determine your crowed before going on to do a set unless you have walked the crowed before hand, which I highly suggest every DJ doing before they go on live. Once you know the crowed then you can make adjustments, fine tune your playlist, etc. Also, you can see Aoki preparing their playlist with Dimitri Vegas and Like Mike before their night in Tomorrowland. Believe it or not, I actually, to a degree, have been using all four methods throughout my DJ career. It depends on the people, the venue and the situation. Sometimes I value spontaneity over order. Other nights, it’s a one or two genre tempo builder. Other nights I have a theme. And sometimes, I have a specific musical agenda. I would say learn all styles of programming. That way, you can merge them and use them any way you want. Thanks Rolf, I like your distinction between personal “like” and “best of genre”. And the easiest way to get things in correct folders is to use smart folders, I just add genres and feel to the genre category and my various smart folders pick them up, that way they got straight into the correct folder or folders automatically. this sounds like a very good method. I will try to apply this method! thanks for this commment Sparky, very usefull!! I love that DJs are talking about this. I’ve been trying to convince people that there’s an actual groove for the evening just like there’s a groove per set, but most of the people I know who spin music don’t seem to care too much about flow even though they can see the positive effects of it. I’d really like to thank everyone who does this for supporting this style since I’ve been told I was crazy for trying to do something like this MANY times. Don’t forget Tom that many of use did that for many years, so we understand the temptation to fall into the “harmonic mixing trap” – this is just one tool, not the only way of doing things. We get that. I use the now famous digital DJ tips Itunes method of using groups, ratings and smart playlists in Itunes. 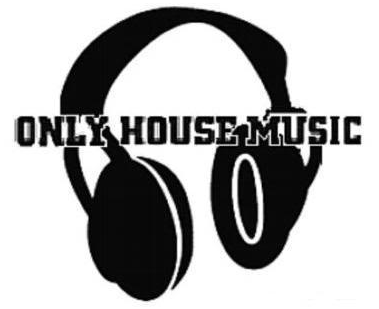 It has worked wonders for me as a mobile DJ as I have to stock many types of different music and the smart playlists have done all the work sorting and organising my music in different ways (BPM, Rating, Grouping and any combination of these). Thanks Phil! That’s what I use ‘rating’ for. Three stars for warm up, five stars for full steam ahead and four stars for everything inbetween. Why rate your tracks, you should have done that before you purchased anything and made sure it was all killa and no filla, no? I agree on the killa no filla thing! 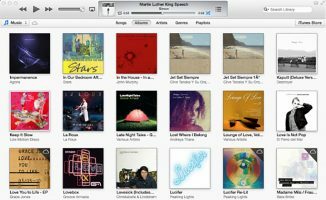 I use smart playlists within itunes and pretty much every method in here. Having each option keeps you incredibly versatile, and I just add tagging and sorting into my tune digging routine and everything stays spot on. I’ve added playlists using the star rating method for energy levels in the songs and I can switch between playlists at ease within traktor. I have all my 500 + tracks in one folder and I work with notes and playlists that I constantly write on notepad. If I want to load a certain track I just type it in search. Best bit about your comment is “500+” tracks, not “50,000+ tracks”. Less music really does simplify everything. 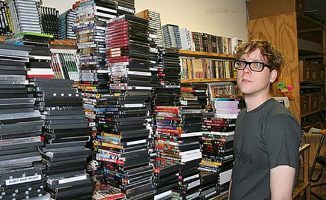 Great article this Tobander… I use an almost similar ‘night stages’ sorting method. I have 4 main playlists of which 2 are hip-hop and the other 2 are for house/dance, namely ‘Let’s Party’ and ‘Let’s Chill’. Within a particular list, I can sort by RATING, BMP or even KEY if I suddenly decide to do a harmonic mix mid-set. This works for me as it gives me options when I’m in the thick of it. I also have a number of smaller, more focused lists created from checking out the history on occasions to see what mixed well. you’re right, often 2 Lists (Party, Chill) seem to be enough. Sometimes I have a hard time to decide wheather a track belongs in the Warm-Up or Cool-Down Folder. 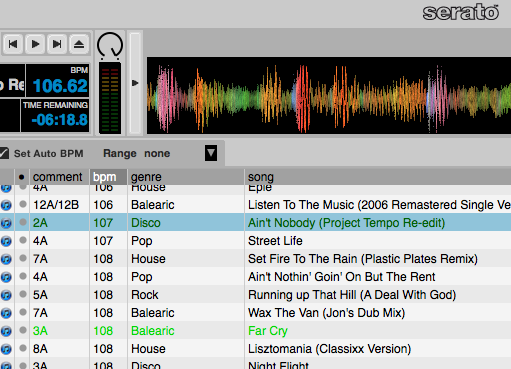 Are you using Serato Online-Playlists to check your history? Indeed! I find that about half, or more, of the tracks in my chill folder can be both warm-up or cool-down tracks. That’s why I choose to have one chill list to start the party and also come back and end it on. I was refering to my own history playlist that I revisit about once or twice a month for ‘reflection’. My word… When looking for tracks to buy, I usually visit 1001tracklists.com, but man, oh, man… I had no idea Serato had something like this. I like, I like it a lot!!! Thanks DJ Chips, sounds like it works well for you with a relatively large collection. Essentially, I see playlists as a form of tags or keywords. You could do this on the ID3 tag level, but for me it makes much more sense to keep non-factual information out of the metadata. The sound files themselves only contain data relevant to them, not the context of their usage (with the exception of genre which is basically a big fat guideline, nothing else). Plus, you can have virtually unlimited playlists = unlimited keywords. That distinction makes sense, for sure. Thanks so much for the detailed share there; as you say no system is perfect, but it’s highly illuminating to see how other people tackle this big issue. I organize my music by bpm folders, then within those I have genres, then within those I have sub genres then within those I organize according to the Camelot notation. The way I know what to play is the Camelot folders are smart playlists that only accept the song if it matches the folder and is 4-5 star in rating, so that I know that what I’m playing isnt garbage. I rate every song and also correct the genre tag if I have to, the good thing is that it has automatic updating! I am a wedding DJ my playlist are basically grouped by time. I generally only play for 2 hours with the dance portion of the night so i have to pack in a lot of music in a short time. The split between hours kinda makes sure i don’t blow all my bangers the first hour. I have a generic set for these playlist that i modify on a per wedding basis. I also use the iTunes method reccomended by phil. Hello! I’m a total beginner and this friday is my first Djing in a cocktail bar (actually first time in public!). It´s a 5.5 hr set but I can play the music I like (indie, nu disco, synthpop, funk). I´m a little afraid that this set might get a bit boring. Is there a way to organize this long set by stages like in a shorter one? or should I stick to music genres? PD: I use Traktor Pro. When you add a track, remove one. The current set list shouldn’t keep growing. I prefer grouping into different genres. If a song fits multiple genres i’ll just stick with one. Also helps to have a “Crap, theres only 30 seconds left in this song” playlist. This playlist will have some mainstream anthems and bangers to throw up real quick when all else fails.